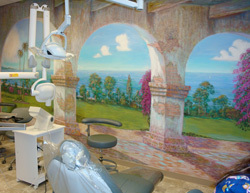 Welcome to DeCastecker Dental Specialists, your source for high-quality family and cosmetic dentistry. Since 2008, Dr. Estela DeCastecker, a bilingual dentist, has been helping families and individuals achieve their oral health and smile goals. With our friendly, accommodating staff and warm, modern office, everyone who visits here instantly feels at home. Dr. DeCastecker offers a wide range of advanced dental services and is personally involved with each patient’s individual treatment plan. 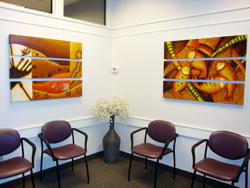 This means you’re always receiving informed and personalized care from an experienced and compassionate professional. Our office, located in Mentor, Ohio is convenient for individuals and families located in Willoughby, Painesville, Mentor-On-The-Lake, Eastlake, Willowick, and the surrounding areas. We invite both English- and Spanish-speaking families to visit us to learn more about our personalized care and wide variety of dental services. Call us today! We can help schedule your appointments with Dr. DeCastecker so that you and your family can enjoy all the benefits of having excellent and functional oral health.